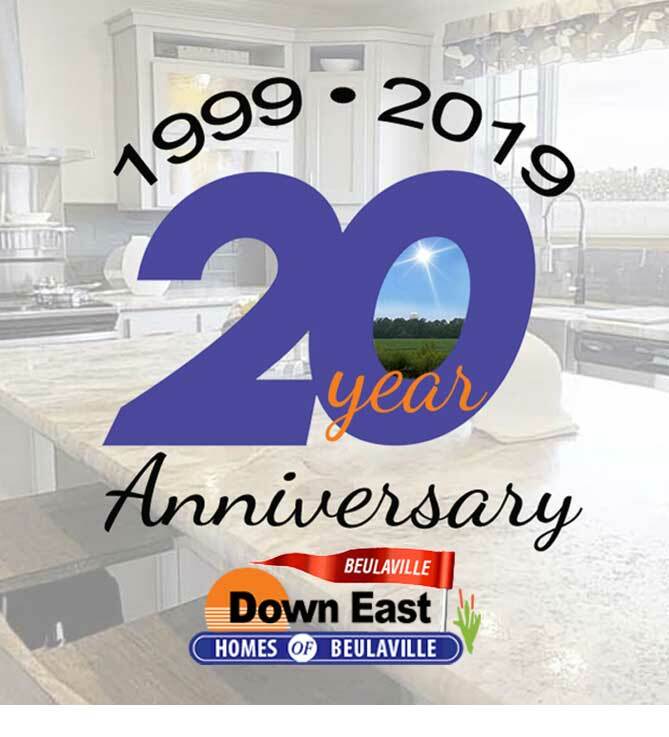 APRIL 2019 – Celebrating our 20th Anniversary of service to NC! We started out 20 years ago, with 1 home to sell, here at our Beulaville location. Blessed beyond measure, we look forward to all good things in the coming year at our 4 locations serving you in Eastern NC. We owe our incredible success to you, our valued customers – who recommend us to family and friends. 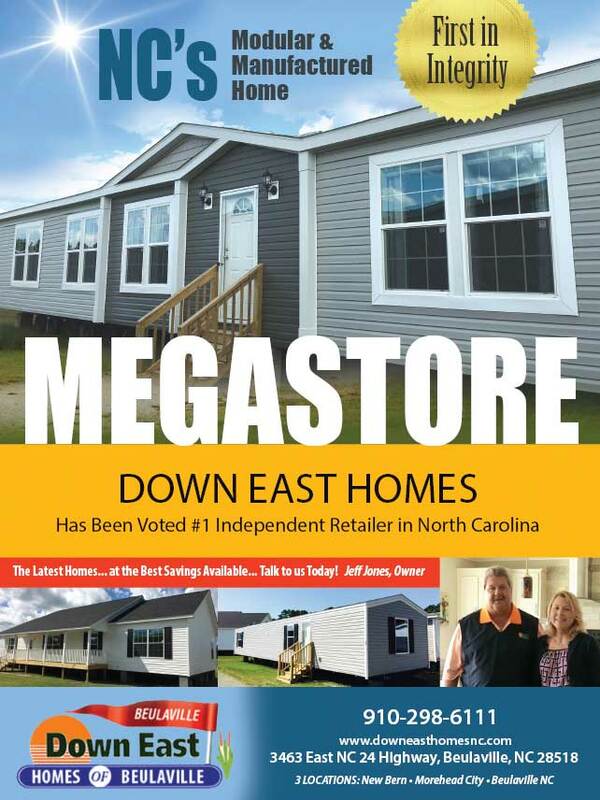 With 4 locations in Eastern North Carolina, Down East Homes is very proud to be the largest Independent Home Distributor in NC. I guess you could say we have been born and bred in North Carolina – our family arrived here in the 1700’s. Our legacy family history and pride in our reputation has made us committed to keeping our customers first in all aspects of our business. Our professional staff has over 100+ years of combined experience in the manufactured home industry. We have never been more committed to bringing you the homes you want at the best prices anywhere. We ask you talk to us before purchasing anywhere else, it will make a big difference in your bottom line. We are here to serve YOU. A sincere Thank You for your interest in our homes. 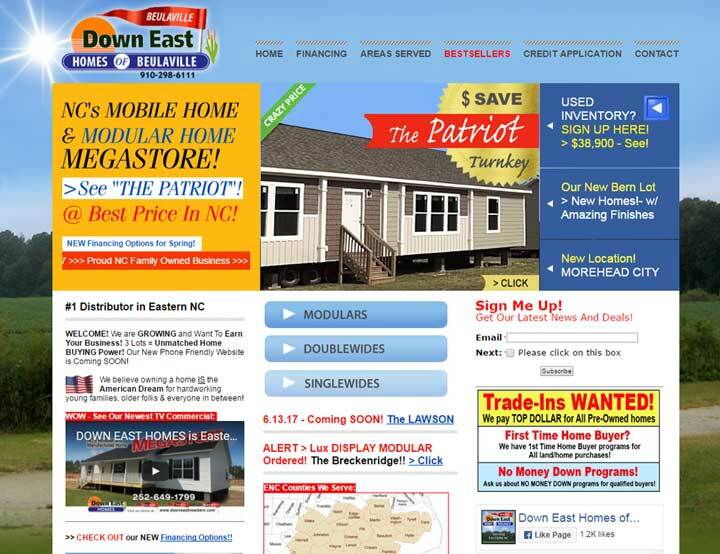 Down East Homes has 4 locations to serve our manufactured home customers now, but this was our first home offered for sale in Beulaville North Carolina – April 1, 1999!